If you want to throw a party where the memories resonate for months to come, you may want to organize a few unique party ideas that will leave your guests stunned with fun. 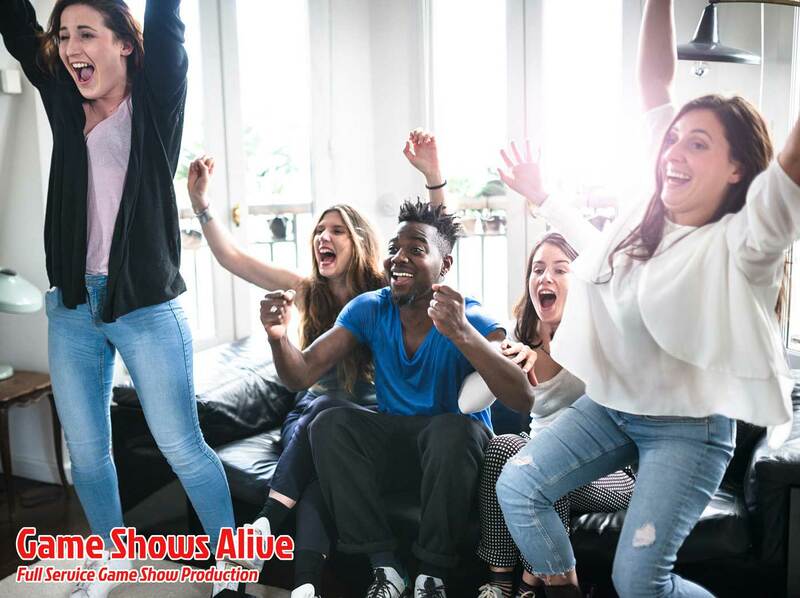 One way to host an event that will leave all your guests entertained is to incorporate games that are centered around game shows – a truly creative way to involve everyone. This can be easily done through a professional party idea company that completely tailors the games to your party and event needs. Whether you choose to plan your event around a particular game show, or a series of different games, here are some ideas on how to execute your next incredible event. If you want to get your guests excited about your party, you can send out your invitations themed to game shows. This will set the scene for your event and prepare your guests for what to expect. Setting up your themed décor also provides the perfect platform for incorporating the ‘game show feel’. If your event involves music – choose themed tracks from popular game shows. A bonus will be including sound effects for various moments. Dressing up your space with some themed party items can create an authentic atmosphere. Use popular game shows like these as inspiration. Minute to win it is an easy game to duplicate with household items where contestants take part in a series of 60-second challenges. Each contestant is given ‘three lives’ and the game ends when the contestants lose all of their lives after failing to complete a challenge. Jeopardy! is a quiz competition whereby contestants are given general knowledge clues in the form of answers. In turn, contestants need to phrase their responses in the form of questions. This can become extremely entertaining in a group of people who know each other and are comfortable to use personal references and adapt the answers to be relevant. Contestants on Who wants to be a Millionaire answer a series of trivia questions with multiple-choice answers to win a big financial prize. This game can be played at your event by tailoring trivia questions to certain group-relevant topics. You can include humor, local jokes and adapt the prize to an appropriate prize. Wheel of Fortune is a classic game show where contestants solve word puzzles to win a prize. And this is determined by spinning a huge wheel. The wheel also adds great décor to an event that directly alludes to a ‘game show’ atmosphere. The random chance of spinning the wheel adds intensity and excitement to the event. This game introduces a panel of celebrities that question contestants to find out what their occupation is. This game can be greatly adapted in environments where not everyone is familiar with each other as an ice-breaker. In the regular game show, the contestant chooses from a number of sealed briefcases, each with a set value, and slowly eliminates the briefcases one by one until the chosen ones remain and the money inside is revealed at which stage the banker offers the contestants cash in exchange for not continuing the game. The money in this game can be replaced by another event-based commodity such as tokens for another game, or an adult beverage of sorts. Game shows are household favorites for a reason. Incorporating these game shows into unique party ideas is a definite way to ensure that all your guests have an incredible time that leaves moods heightened, whilst maintaining the familiarity of beloved entertainment. Next time you host an event, give your guests an evening that they will not forget.